There are 2 positions for the lock. The bottom position locks the meeting rails together as standard. The night vent position is a strong lock, preventing the window from being opened. Furniture. We offer a modern keep with a night ventilation option that is suitable for timber, PVC and tilt and turn windows. Manufactured from steel and finished to a high quality, this is ideal as a modern and stylish fastener. 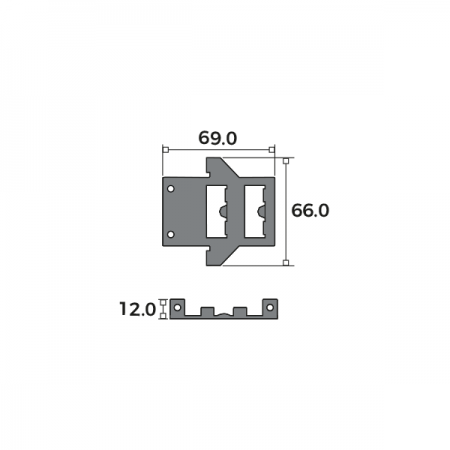 The design of the “circular latch” on the fastener helps pull the keep towards the meeting rail, enhancing the seal at this point to as little as 1mm. Suitable for Double-glazed and most Triple glazed windows. 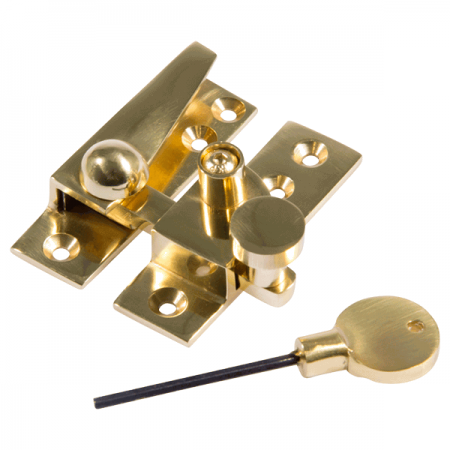 The Modern Locking keep is available in 3 different finishes: PVD, Polished Chrome and Satin Chrome. 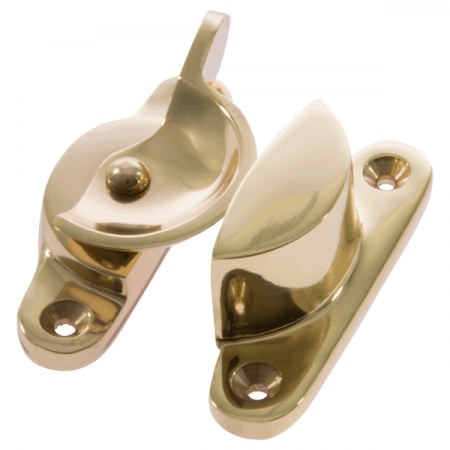 Available in 3 different finishes: PVD; Polished Chrome & Satin Chrome. Can be used with double-glazed and most Triple glazed windows. PVD has excellent corrosion resistance and is very hard wearing. 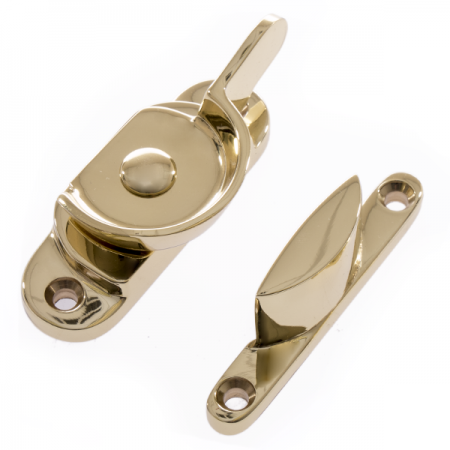 Polished Chrome and Satin Chrome have very good corrosion resistance, however, prolonged use outside could tarnish the surface. For use with the Modern Locking Fastener – purchased as an addition. Used predominantly with Timber windows. 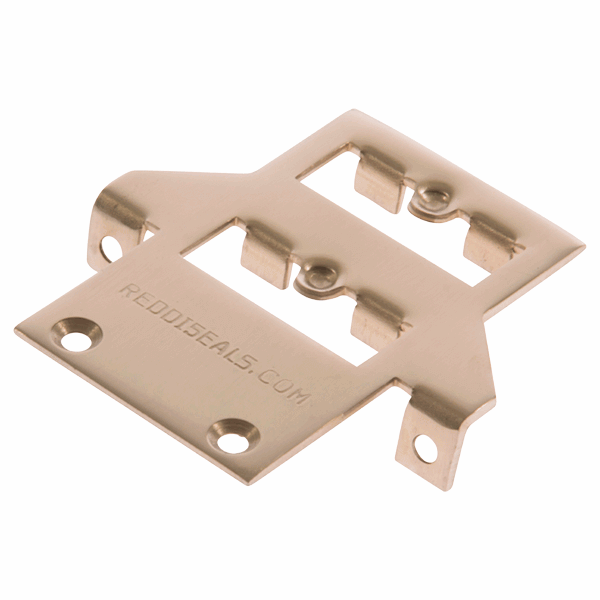 Ideal for the “modern look”, using spring balances. 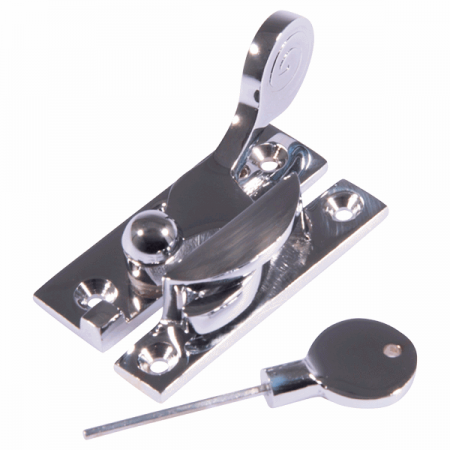 Suitable for use on PVC style sash windows and the “Tilt and Turn” windows.